I am so excited to be reviewing Full of Kindness this month and to share my thoughts on the June collection with all you eco-lovelies! 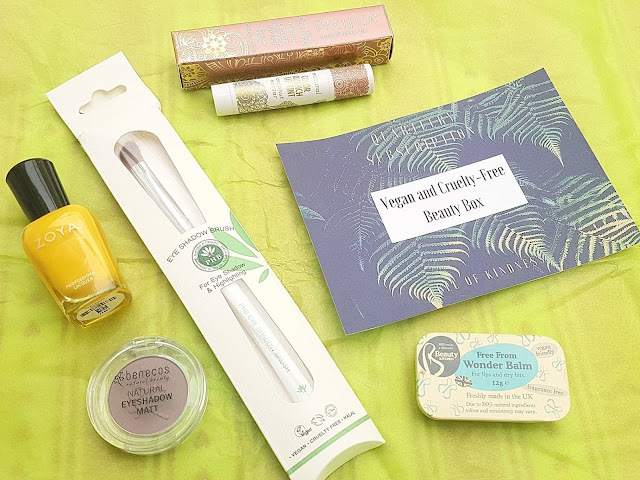 This ethical subscription box is dedicated to making the lifestyle easy for everyone by bringing customers tried and tested vegan, cruelty free, and natural products straight to their door each month. The monthly box contains five ethical beauty items and is sent off on the 1st so you can look forward to a variety of goodies to test out at the beginning of each month - the perfect start! And, not only are the products inside your box full of kindness, but for each edition bought, 50p is donated to an animal friendly charity. I love that the June edition is so cohesive - the shades all work well together and everything is perfectly chosen for the upcoming summer. There is a pop of colour to compliment the neutral lips and eyes, and a super hydrating balm to touch up any dry spots before breaking out the swimsuits. It is a lovely collection with fantastic brands, and I was happy to see some names that I have not had a chance to try before! Zoya Nail Polish in Darcy: I have used only one Zoya polish before, but I really liked it so I was excited to be able to test out another bottle. Zoya is a 10-free brand, meaning they are free from formaldehyde, formaldehyde resin, dibutyl phthalate, toluene, camphor, TPHP, parabens, xylene, ethyl tosylamide, and lead, all of which are found in most high street nail products and pose potential toxic effects. This is such a bold colour I really was not sure about it at first, but after painting my nails and seeing it on, I love it! The shade is a sunshine yellow, and it is full coverage creme polish making it a great swipe and go product. It is fully opaque in one sweep, but I always opt for at least two coats just for lasting power when I wear a creme polish. The Zoya base has lasted about five days and is still going strong - so far so good! Plus, I love how cheerful it is, and think it will be so cute once the weather starts to warm up a bit again. For now, I have paired the shade with a dark blue (almost black) mixed pattern which makes the yellow really pop. Ingredients: Butyl Acetate, Ethyl Acetate, Nitrocellulose, Acetyl Tributyl Citrate, Isopropyl Alcohol, Sterikonium Hectolite, Acrylates Copolymer, Styrane / Acrylates Copolymer. 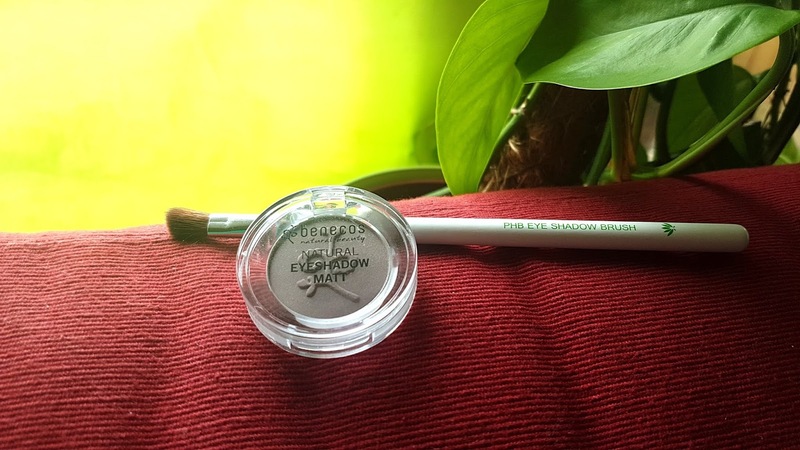 PHB Eye Shadow Brush: I actually have one of these brushes already, but I like it so much that I am really happy to have a second one (especially since I am absolutely the worst at washing my brushes so it is good to have a spare!). The bristles are super soft, and the shape is especially great for blending and highlighting. Plus, it is made from eco-friendly sustainable materials! Benecos Natural Eyeshadow Matt in Mauve Me: I usually go for a bit of shimmer on my eyes as I am pretty basic with the rest of my makeup, so this was a really nice change for me. Mauve Me is a soft and neutral light chocolate shade that is perfect for a natural and sophisticated eye. The colour is said to be good to "illuminate and define" your look, and I have to agree! A light sweep across your lid and you have a great casual style that can work for on the go or a day out at the beach. The lasting power is pretty impressive, and I like how smooth the formula is. 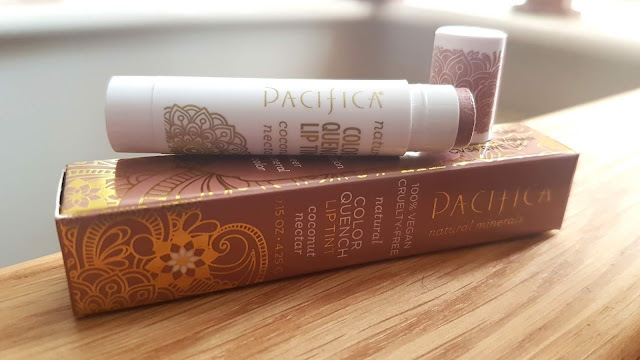 Pacifica Color Quench Lip Tint in Coconut Nectar: I love a good lipstick, and I love a good lip balm, and this tint from Pacifica fuses the two together so well. The product itself feels really moisturizing thanks to avocado and coconut oils, and even after just one use I could feel the nourishing qualities helping my parched lips. I really like the design on the box and on the tube, and was happy to see the packaging is 100% recyclable -- a big deal to me since I am trying to cut down on waste! The product smells amazing and I appreciate that Pacifica achieves this without adding artificial fragrance. It's like a sweet coconut, and it brings to mind clear sunny skies and sandy beaches. The colour itself is lovely too - it's a sheer and subtle bronze with a bit of shimmer to it which I find the perfect sunkissed shade. It doesn't last all day, but it is great for a short trip out. Plus you can always touch it up periodically if needed. Since this is a tint rather than a full coverage lipstick you don't have to worry about having a mirror handy - just apply like a chapstick and you are good to go without worrying about having a bright smudge all around your mouth. Ingredients: cocos nucifera (coconut) oil [emollient/ moisturizer], glycine soja (soy) wax [emollient/ mositurizer], euphorbia cerifera (candelilla) wax [emollient/ mositurizer], theobroma cacao (cocoa) seed butter [emollient/ mositurizer], persea gratissima (avocado) oil [emollient/ mositurizer], natural flavor [flavor], vitamin E [emollient/ mositurizer], rosmarinus officinalis (rosemary) leaf extract [beneficial]. May contain [colorants]: mica, titanium dioxide, iron oxides. 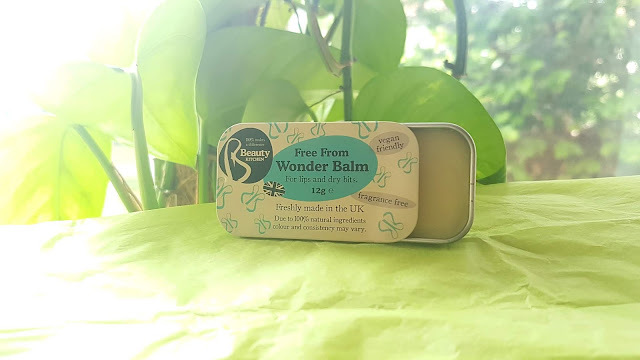 Beauty Kitchen Free From Wonder Balm: I love everything about this balm. No plastic in sight, fragrance free meaning it is suitable for sensitive skin and those who have allergies, and a super handy size perfect for carrying around -- it is all fab! The balm is multipurpose, and can be used on lips, elbows, knees, and more. The balm melts onto your finger when you go to get some product which makes it super easy to use and pretty mess free. 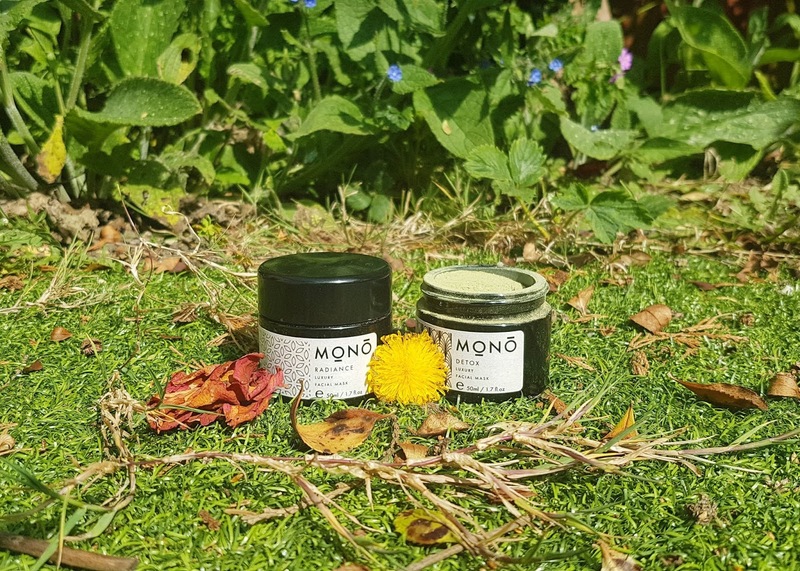 I've mainly been using it on my heels and cuticle as those areas still need a bit of TLC after the long dry winter and all the weather changes lately. I have already seen some improvement, so the oils in this item seem to be doing the trick - will definitely be looking into trying more from Beauty Kitchen in the near future. Overall, the value of the June edition of Full of Kindness is over £35. I am really happy with the quality of each item, and I love that I have discovered some green goodies that I had never tried out before. 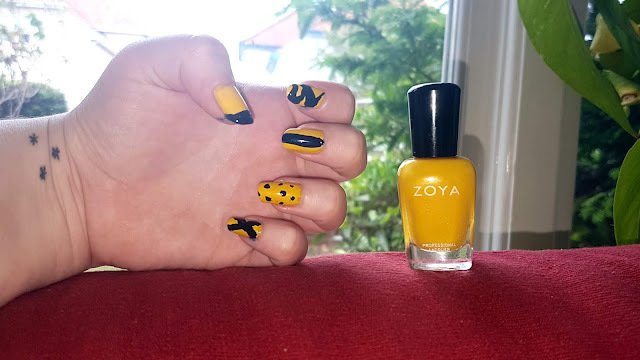 The product that surprised me the most was the Zoya nail polish, as the colour is one I never would have picked out for myself -- it is bold, bright, and perfect for sunshiny days. I especially like the shade when combined with funky prints! 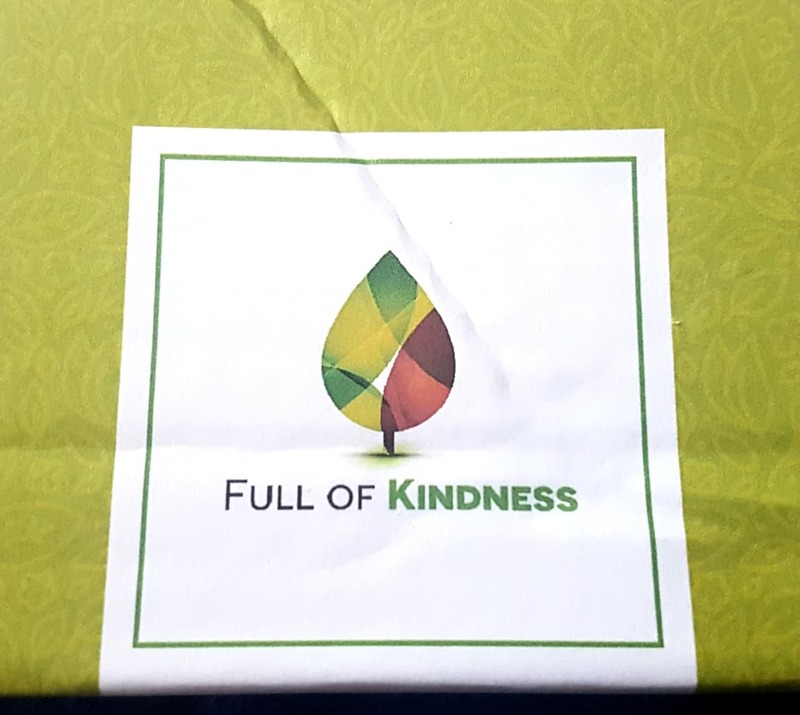 If you haven't checked out Full of Kindness yet, I highly recommend you do -- their boxes are packed with natural, vegan and cruelty free products, and the variety is really great. Just be sure to subscribe before the 20th, as that is the cutoff date for the following edition! You can choose from a monthly rolling subscription or a quarterly option, and prices start from £18 per box (plus postage). If you are starting out on your journey with ethical living or just want some lovely handpicked treats every now and again, Full of Kindness has got you covered! I hadn’t heard of this before! I love the colour of that nail varnish it looks so perfect for summer! That sounds like a great concept. Vegan products are not easy to find where I am so a box like that can be great! I've not heard of this box before, it looks such good value. I love a balm in a tin, they seem to survive being bashed about in my handbag much better than plastic ones, easier to recycle too! There are so many subscription boxes to choose from nowadays. Hadn't heard of this one so thanks for sharing. That looks like such an amazing box! I love so many of the brands in that box! I might have to invest in one! I am a sucker for all things charity and the fact that there's a donation made to an animal friendly charity and it's still eco-friendly is impressive. 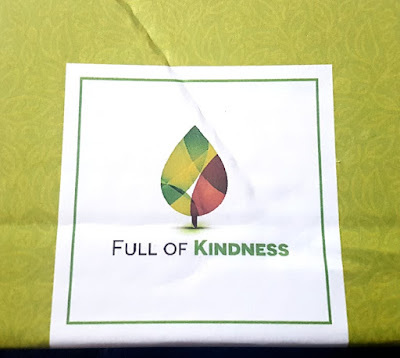 I haven't heard of the Full of Kindness box before but I love the idea behind it and the contents seem great. The Zoya polish is gorgeous, a perfect colour for summer too! That Benecos shadow is such a lovely shade! This sounds like a fab box. I've not heard of the brand name "Full Of Kindness." However, it sounds so nice and the box contents are so lovely. I love the yellow polish. Oh yes! Yellow is beautiful. This is probably a silly question because I am pretty sure you are cruelty free like me but is Zoya cruelty free? 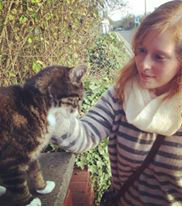 I like how cheerful the nail varnish is!